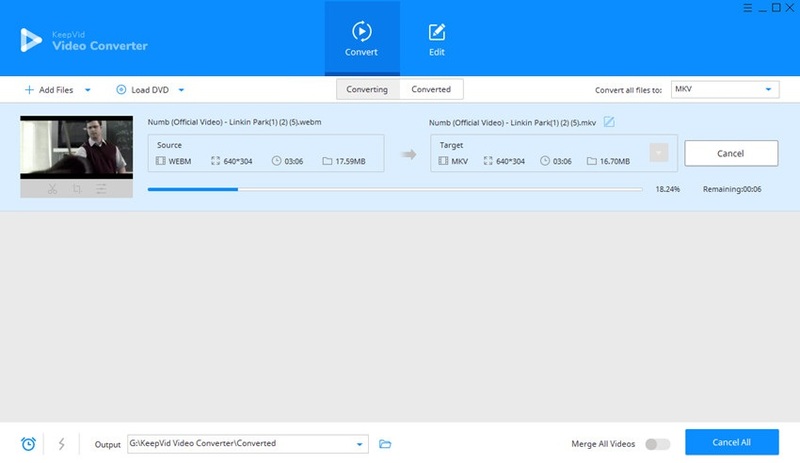 Here comes the most popular KeepVid Online Video Converter which is totally free to be used and can easily convert any video from the WebM format to MKV format within just fewer seconds only. No complications are there when using this video converter as the converting process is very much easy and simple. You just have to add your file which needs the conversion and simply select the format you may want or the type of file you may require. Click on your desired format and click on “CONVERT NOW”. It will not take much more of your valuable time, and you will get your video being converted into the MKV format within just seconds. Numerous experts are there who are always engaged in serving you the best and they usually recommend converting the files from one format to another. One of the most reliable ways to convert such formats is to use the desktop version. KeepVid Video Converter is a kind of version in which you may not have to face any loss of information. 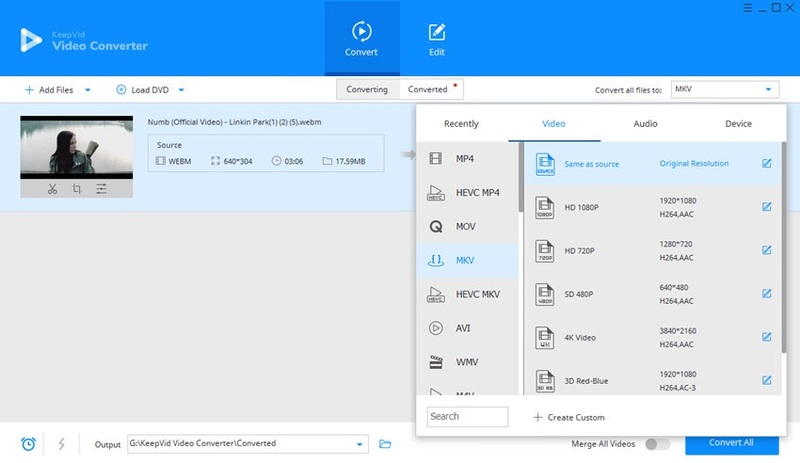 Not only the beginners but also the reputed professionals can now use the KeeVid Video Converter to convert the files from WebM format to MKV format. 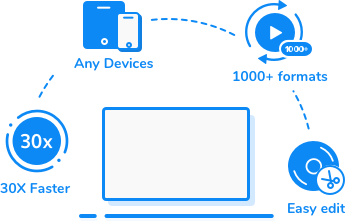 Such video converter enables you to convert videos to more than 1,000 video and audio formats. It converts videos with 30X faster speed than any other converter. It supports to convert HD videos without any quality loss. Edit videos with several helpful editing features.  Download videos from mroe than 10,000 video sharing sites. Step 1 – Start KeepVid Video Converter and add WEBM file from your computer. Step 2 – Click the menu icon at the upper right side and choose MKV as an output format. 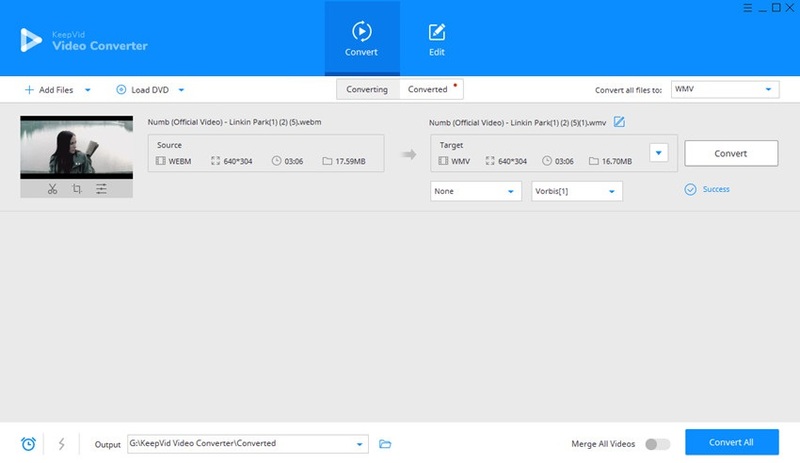 Step 3 – Click Convert button to start converting WEBM to MKV video. Now, it is the time to understand the step guide to convert the files from one format to another. There are just three simple and very easy steps by which you can easily convert WEBM to MKV in short time. The first step is to download the software to your computer system and then install it, you need to select the right version of the software which is compatible with your computer system. After this, you have to add all the files which you want to convert from WEBM to WMV format in the software. For that you have two methods one is, by clicking the Add Files and then select them or by simply dragging them and putting it over the appropriate place in the software for converting them. Now, you just have to select the format which is actually required by you. You have to click on the inverted shaped icon which will appear on your screen so as to select MKV as an output format. The third and last step is to convert the files to the required format by simply clicking the Convert button. An MKV file is a video container format similar to the .AVI, .ASF, and .MOV formats. It supports several types of audio and video codecs and may include .SRT, .SSA, or .USF (Universal Subtitle Format) subtitles. MKV files also support VobSub subtitles from DVDs.